FA investigated a too big to handle and too big to fail piece of communist architecture in a 5-day workshop. 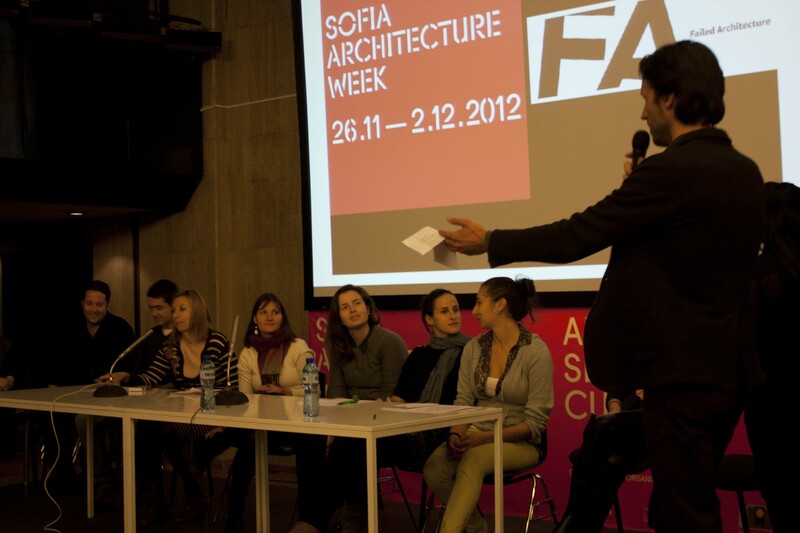 The National Palace of Culture, also known as NDK, was under the microscope with FA Mobile and a team of eleven inquisitive participants during Sofia Architecture Week. The multifunctional exhibition centre was a curious case from start to finish and with the majority of participants of Bulgarian background, it became a personal overview of what national culture means today and how this monumental building might not have changed as much as the surrounding post-communist politics and culture. There seems to be a discrepancy in how the NDK should be used today – is it still a representation of Bulgarian attitudes or has it become a large void which people are content to leave empty as it symbolizes a part of their history? Opened in 1981, the NDK was sold as the architecture of a national communist identity – a focal point for interactions and political events. After the fall of communism however the role of the building seems to have altered, this being the main issue during the five-day workshop (which was appropriately held in a space in the NDK). Without significant value, can a building remain standing? 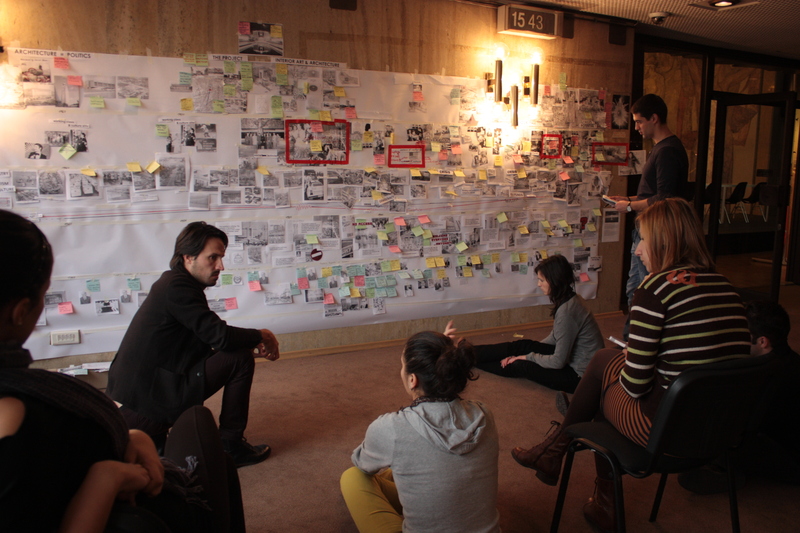 The FA timeline (a tool we use to retroactively map events and decisions that led to a building’s or neighborhood’s decline) showed the ‘rise and fall’ of the use of the building – linked quite aptly to the political change. Some workshop participants inferred that nothing had changed, or that the building’s identity had even become stronger over time. Still others noted that 75 per cent of the building is vacant and it is its neighbor, a rented office building meters away, that produces the money to power the vast complex (to put this into perspective, it was noted that the electricity bill alone is around 100,000 euro per month). Hoping to win the bid for Cultural Capital of Europe, the NDK will play a vital role in securing this spot. A number of key speakers supported FA Mobile in Sofia and made great arguments towards its importance, but also speculated on its depreciation over time and its meaningfulness for natives. On day one Lyuba Boyanina and Lyuba Tours provided a tour of the whole complex, all 123,000m2, 8 floors, 3 underground levels including 13 halls and 15,000m2 of exhibition space, showing how vast the space is and how a strong architectural and artistic sense still exists, with numerous pieces of artwork stored in rooms and exhibited on walls. Immediately the question about the NDK’s iconicism and symbolism was raised – if more than half of the internal spaces are closed to the public then what is it symbolising? The high aspirations shown through the architecture and artistry set a good stage for our first speaker, architect Valeria Gyurov, the co-curator of Sofia Architecture Week. Gyurov gave a very personal perspective as his grandfather, Delcho Gyurov, was the main engineer involved in the NDK’s three-year construction phase. Workers from neighboring Eastern European countries were imported and divided into a strict shift pattern, working day and night. During construction the NDK already grew into a symbol of dedication, power and patriotism and with this a political belief in communist ideals. Architect Plamen Shomov from the ATRIUM group, a research project focussing on South East Europe, kicked off day two. The ATRIUM partners come from eleven different countries, sharing their interest and experience, both cultural and historical, on the architectural heritage of totalitarian regimes today. When looking outside and walking around the NDK, it is immediately clear there is a lack of activity. A lot of the spaces were used to pass elsewhere. The emptiness was considered a valuable measure for the need for new functions in the building today in order to revive its original plan. Shomov presented an interesting view of how inside and outside were quite disconnected. As the day came to an end, we had a discussion with Prof. Dr. Yordanka Kandulkova who works at the University of Architecture, Civil Engineering and Geodesy (UACEG) at the Faculty of Architecture, History and Theory of Architecture. Kandulkova commented on the idea of culture and how ‘the fact that we can talk about culture today in this building is a sign that it has a chance to survive’. When asked about what group of people the NDK was initially made for, Kandulkova assertively explained, ‘not for the elite, although there were events for the elite’. Having talked about the place being important we probed her about what a new function for this building could be: ‘We shouldn’t separate from the cultural function. Do not vulgarize this place’, she said. Kandulkova stated that the youth of Bulgaria should find what’s valuable for the space today, as they will be the ones carrying it forward. The closing points in the discussion encouraged the need for an altogether new point of view as ‘we shouldn’t throw dirty water in the bath’, Kandulkova asserted. Architect Dimitri Paskalev presented a pragmatic approach on day three, focusing on what types of discussions and experiments had already been carried out to provoke change in the area and what he felt was necessary for the future of the building. Day four included a discussion with an internal member of the NDK, Executive Director Todor Vlaychev. He opened his story with telling us that he had only been working in this position since May 2011 and that he was still getting lost in the corridors, stating that it was difficult to run such a monstrous building and keep all areas occupied. Vlaychev presented some of the NDK’s monthly costs: ‘100,000 euro just for heating, 50,000 euro for electricity and around 10,000 is spent on water’. But, he went on to say that the NDK was taking these costs seriously and that it was working on reducing these costs: ‘We are putting in energy saving light bulbs everywhere we can, this should save 80 per cent on what we spend on light’. During an evening presentation the participants presented their findings, which brought about informed questions and issues based on the previously gathered knowledge. 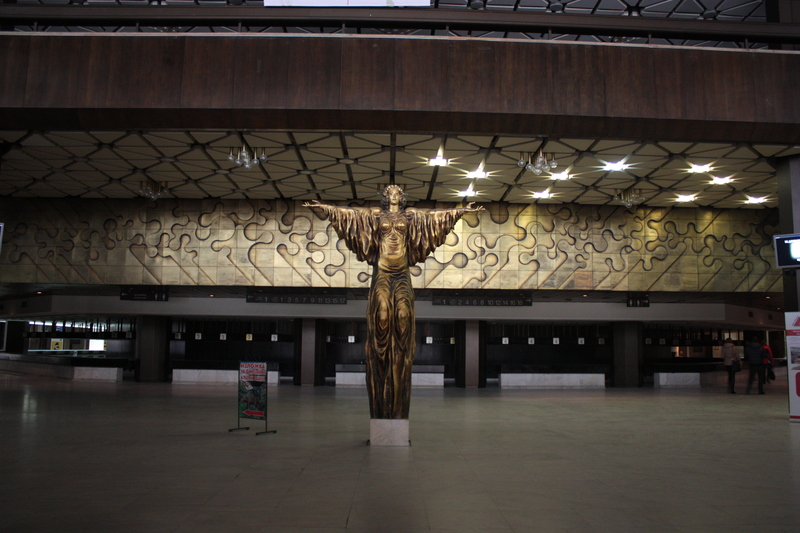 Among other things, it was suggested that the ‘National Palace of Culture’ was big enough to house an education center for design and cultural innovation, and could therefore be renamed the ‘School of Culture’. The question whether this rather symbolic gesture would encourage a new meaning and revive the place, caused much uproar. People stood up from their seats to assert that the NDK is cultural and should never deviate from this role. Many natives supported this consensus, stating that ‘it hadn’t lost anything but only needed new activities to take it further’. We would like to thank our participants who really got involved in the process and encouraged great conversations. As well as this, due to a language barrier in some instances, our participants took it upon themselves to translate comments to us and show us an extra special time in Sofia. Thank you Vesta Kirova, Vilia Evstatieva, Milena Dragozova, Julian Nachev, Vera Naydenova, Lubomir Dimov, Max Holleran, Teofana Haralampieva, Nadezda Suceva and Gergana Trichkova. We would also like to thank Vilia Evstatieva and Katerina Gondova for their devoted help prior to, during and after the workshop – without which the workshop would not have been possible.